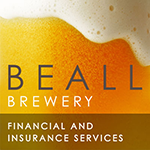 Beall Brewery Insurance is proud to have served as a major sponsor supporter of the CCBA’s California Craft Brewers Spring Conference, held last month in San Diego, Calif.
Every spring, the California Craft Brewers Conference draws together more than 450 members of California’s craft beer industry. They attend for networking and informative workshops, seminars, and presentations specific to the California craft brewing industry. 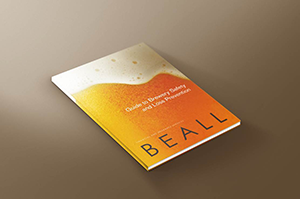 At the event, the Beall Brewery Insurance team connected with hundreds of brewery professionals. They shared information about Beall’s customized craft brewery insurance, microbrewery insurance, and brewpub insurance packages. And they explored San Diego’s rich brewery industry. “This is an event we look forward to each year,” says Beall Insurance principal Richard Beall. ← What’s in a Brewery Tasting Room?